Rev. Idzi Radziszewski Award for the year 2015 was given to Prof. Andrzej Półtawski, philosopher, ethicist, an anthropologist, a prominent specialist in the field of Christian philosophy. The presentation of the Award took place on 27 April 2016 in the Collegium Ioannis Pauli II of the Catholic University of Lublin and coincided with the second anniversary of the canonization of the John Paul II. Prof. Półtawski was his close, long-standing friend. 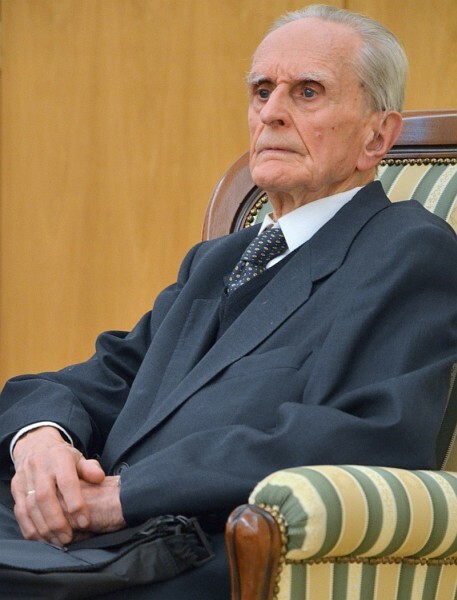 To Professor Półtawski, an eminent scholar, a patriot, a participant of the Warsaw Uprising, we give our heartily congratulations. We invite you to see photos from the event in our Gallery.